Below is a list of Pachaina Milos related links. 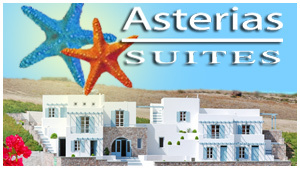 Picturesque settlement and quiet tourist resort with a beautiful beach on the north coast of Milos. Beautiful beachside settlement and tranquil tourist resort on the north coast of Milos. The Best Beach of Milos. Fishing Village and Tourist Resort on the northeast tip of Milos.